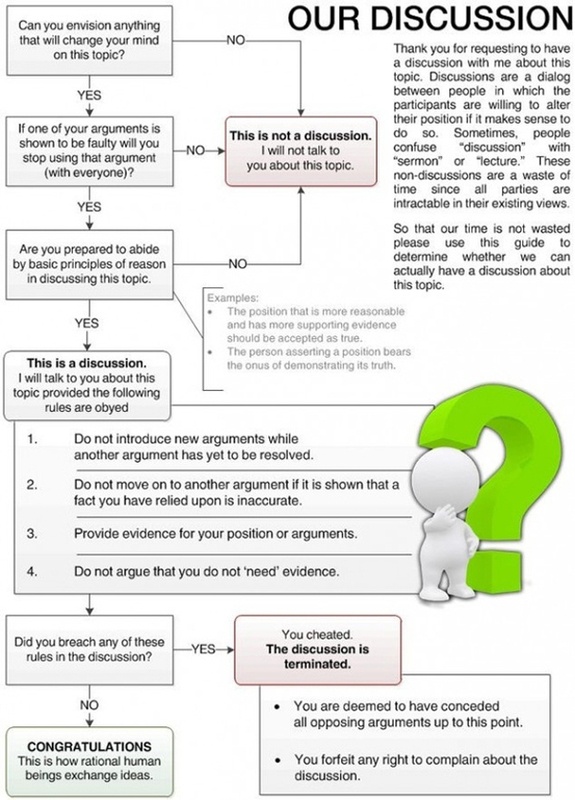 When "debating" a creationist, it helps to have a flowchart to determine if you are getting anywhere. In most cases, you're not. Confrontational creationists tend to break several rules of a descent discussion. So here you go, see if this helps.